It’s that time of year again – Finals are fast approaching. Some students succeed quite well during them, while others travel along the struggle bus, freak out, and cram all of the information they need to know the night before the final. This is a helpful list as to how to succeed the impending Finals Season at The College of Saint Rose! 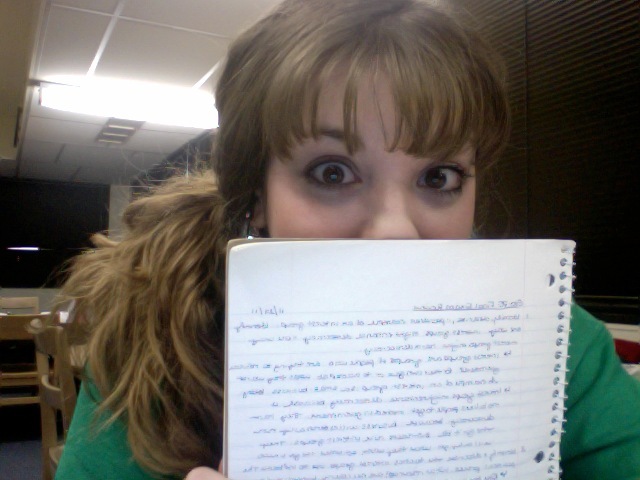 So much studying, so little time! Me at the library! Manage Your Time Effectively – If you struggle with procrastination, or just lack motivation, try making a schedule of when you do specific work. A time line is a good way to plan out what work you have to do when. Make sure to keep your syllabi so that way you know when each final is and when each project is due. Finals are not just tests, they’re projects too! Stay on top of them! 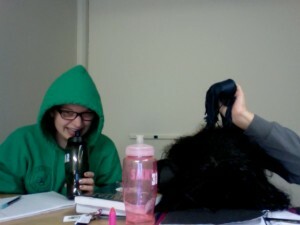 Lauren and Hazell going crazy in the library with me during Finals Week last year. It’s the effort that counts!!! Don’t Be Afraid to Ask for Help! – Something I’ve learned throughout my years as a student is to never be afraid to ask a teacher for help. St. Rose has an amazing array of faculty, and they are more than willing to help you out with anything you may need help with! Don’t be afraid, and don’t be shy – that’s what they’re there for! They respect you more when you ask for help, too! Utilize the Resources Available – The College of St. Rose has a multitude of resources available that can be used for study spaces, sources for papers, and places to help you succeed. First is the Neil Hellman Library, which has extended hours during finals week. Not only is the library a great study space, but it has a collection of resources such as books, research journals, dictionaries, and other research materials. Another study space is Lima Lab. Lima lab is a computer lab that is open 24 hours a day, 7 days a week. Many students use this space during the year, mainly because of its extended hours, but also because of the vast amount of computers available. There are other computer labs available to use throughout the campus, either filled with all Dell or all Mac computers. Other good resources available on campus are located in St. Joseph’s Hall – The Academic Support Center, The Writing Center, and The Learning Center. The Academic Support Center works to support students’ academic needs through resources outside the classroom and help students to gradually more academically independent. The Writing Center provides free tutoring for all students on campus to help improve writing skills and gain a better understanding of the writing process. The Learning Center offers open lab group tutoring sessions in the academic areas of math, accounting, business, computers, Spanish, and the natural sciences. All of these offices are great for students to use during finals week because they can help students out with concepts they don’t understand and with papers that could be due during that time. Balance Work with Play! – Yes, studying and writing papers are very important, but I’ve found that if you don’t blow off some steam, you’re bound to go crazy. So pick a day to not do work! Do something fun, like go to the mall, see a movie, or just hang out and play a board game with your friends! You’re in college; it’s meant to be fun! Just make sure you don’t neglect your work; use your time management skills and make sure you have enough time to do all of your studying before you go out and have fun! My friends Audra and Kaylee goofing off with me and my roommate Cathleen at Forever 21! 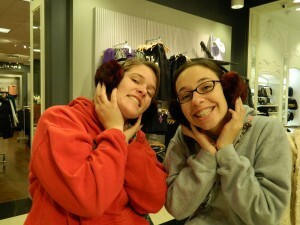 It pays to have some fun during the Finals Season! I hope these tips help you out during your finals week season! Good luck with all of your tests! If you have a question as to when your finals are, check out this link: http://www.strose.edu/officesandresources/registrar/academiccalendar.